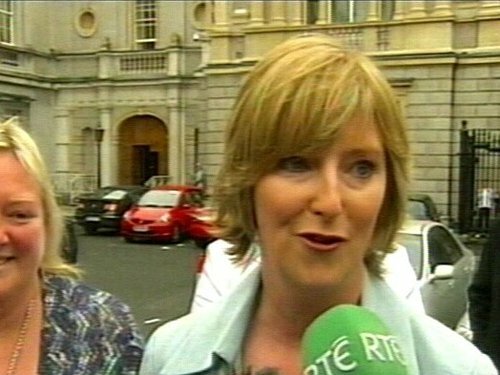 Lawyers for RTÉ have accused the Independent Mayo TD, Beverley Flynn, of a 'litigious frolic in her own interest'. The comments were made after lawyers for Ms Flynn outlined the grounds on which she wants to postpone bankruptcy proceedings being taken against her by RTÉ. Her senior counsel, Gerard Hogan, said Ms Flynn was challenging the constitutionality of part of the 2002 Electoral Act, which disqualifies someone judged to be bankrupt from being a member of the Dáil. He said she had raised major constitutional issues of public importance, and they were seeking an urgent, early hearing of the constitutional proceedings. The matter has been adjourned for two weeks. Before the case was adjourned, Mr Hogan told Judge Elizabeth Dunne that Ms Flynn was served with a bankruptcy petition on 2 June after RTÉ failed to recover almost €3m in costs incurred by her in a failed libel action against the station. He said she had already offered almost €600,000 to RTÉ but that offer was rejected because RTÉ did not believe she had done all she could to discharge her debt. The Electoral Act of 2002 provides that if a member of the Dáil is declared bankrupt and fails to discharge that bankruptcy within six months, they will be disqualified from membership of the Dáil. Mr Hogan said the wishes of the electorate must be respected by the Oireachtas. He said there was inconsistency in the way members were disqualified. Senior counsel for RTÉ, Cian Ferriter, said costs against Beverley Flynn had been assessed in September 2005 at more than €2m and interest was accruing at a rate of €500 a day. And he said Ms Flynn had not paid a 'red cent' of that money. He said RTÉ had obligations to its licence payers and had to take this action for bankruptcy. He said RTÉ had grave concerns about Ms Flynn's efforts to postpone or adjourn the bankruptcy proceedings. He said she was embarking on litigation in her own interest to block the consequence she most feared, with complete disregard for RTÉ and its licence payers. He said the constitutional proceedings were nakedly self-interested and would actively prejudice RTÉ. He added that RTÉ had had to bear the very costly consequences of her previous frolic and was now being asked to sit back while she embarks on another one.